My favorite blog is Old House Dreams, which was created by Kelly. To me, Kelly is a Goddess. She created Old House Dreams from nothing, and built the site into one which now receives a million page views a months. Zounds! This is truly incredible. Old House Dreams (OHD) is the most fabulous place to ogle over old houses. Sooooooo many houses and all of them luscious. What I particularly like about OHD is how…curated the site is. I cannot express enough how important this is. Kelly has a very particular eye, and this informs each house selected. And her eye delights me. 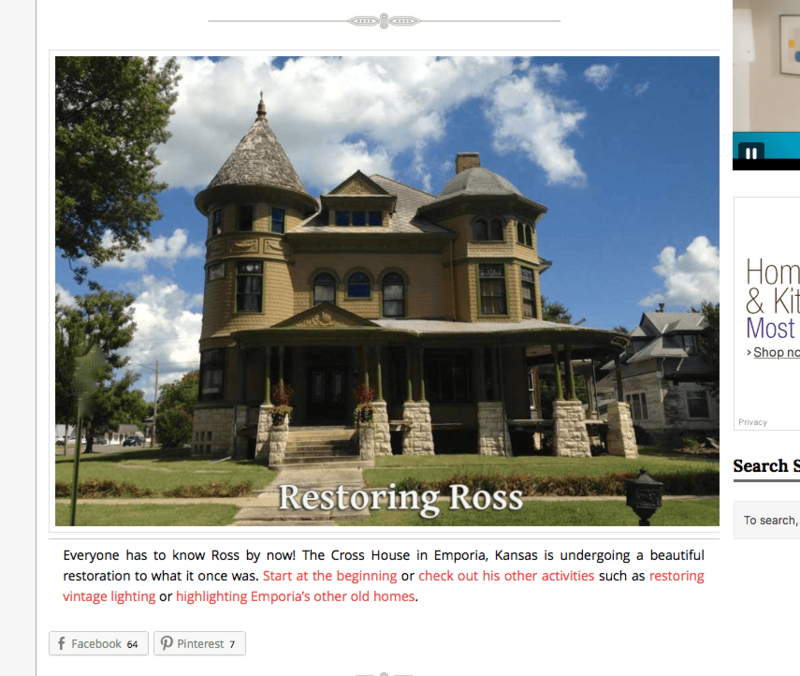 Last weekend Kelly featured the Cross House and RestoringRoss.com in her Friday post. Oddly, I did not even realize this until today! I was doing an analytics on why my site stats (how many people visited restoringRoss.com) increased 500% this past weekend. The answer? Kelly! 3 Responses to Why Kelly is Sooooooo Sweet! Thank you or your kind comments. You are always welcome at the Cross House! And I give a very good tour! damn – carla’s house must be 4 times the square footage of the cross house. what a project. i also went and watched the you tube video on the Jedediah Wilcox house. what a place and what a loss. all that artistry never to happen again.